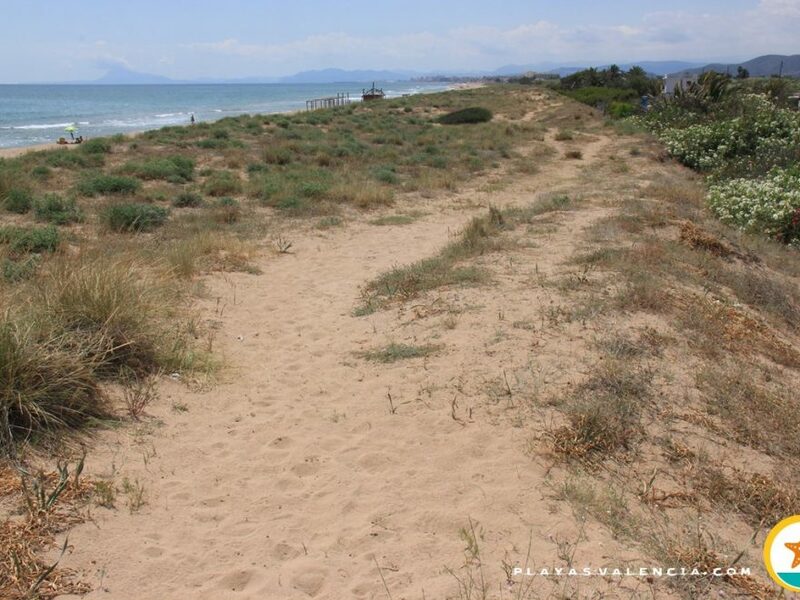 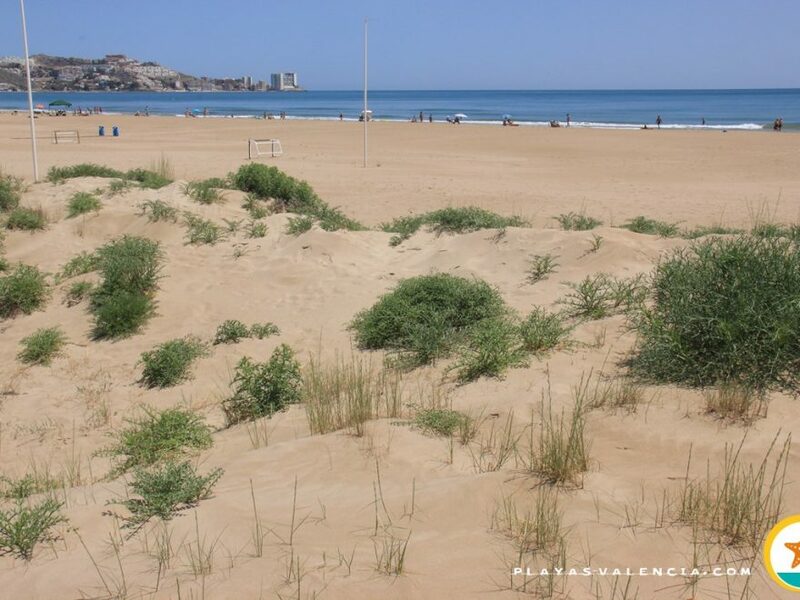 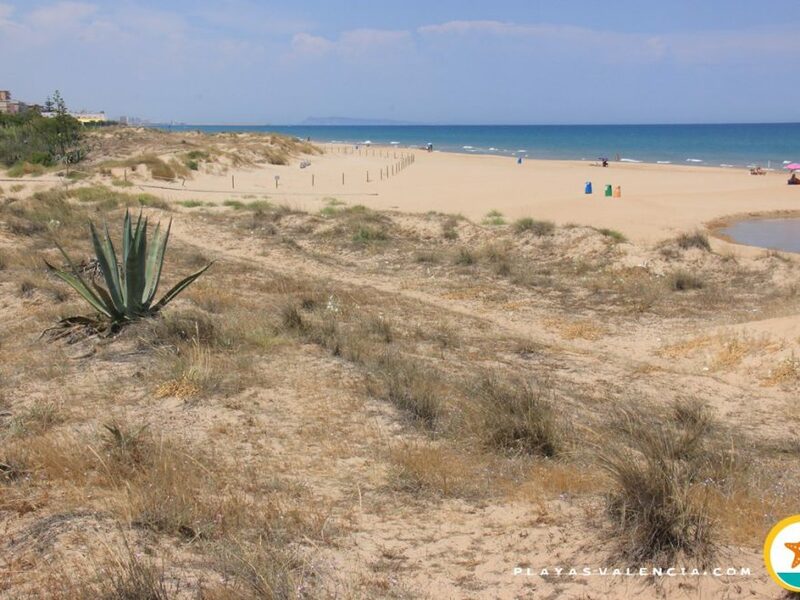 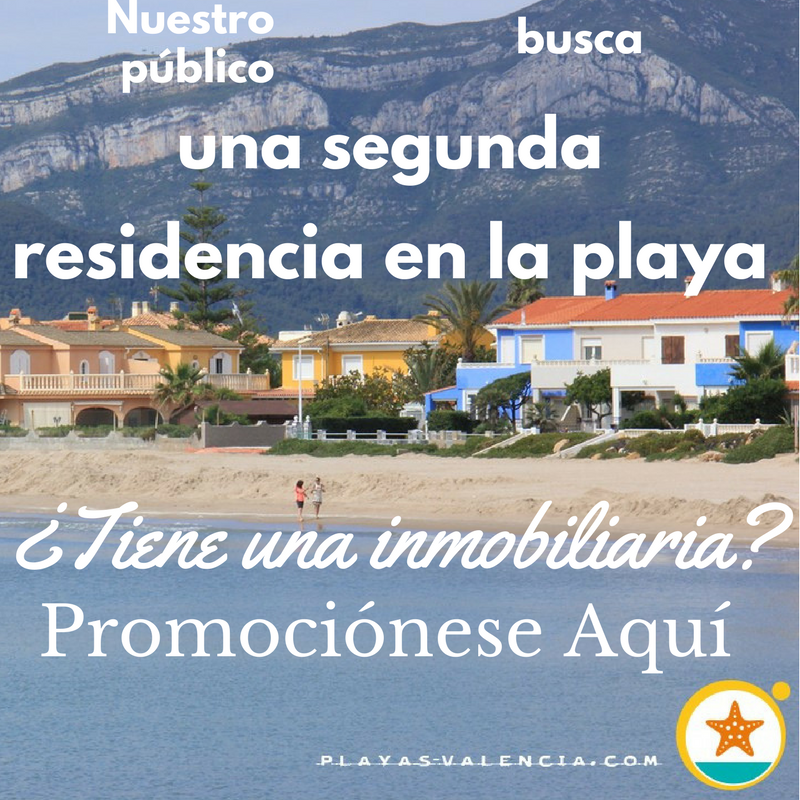 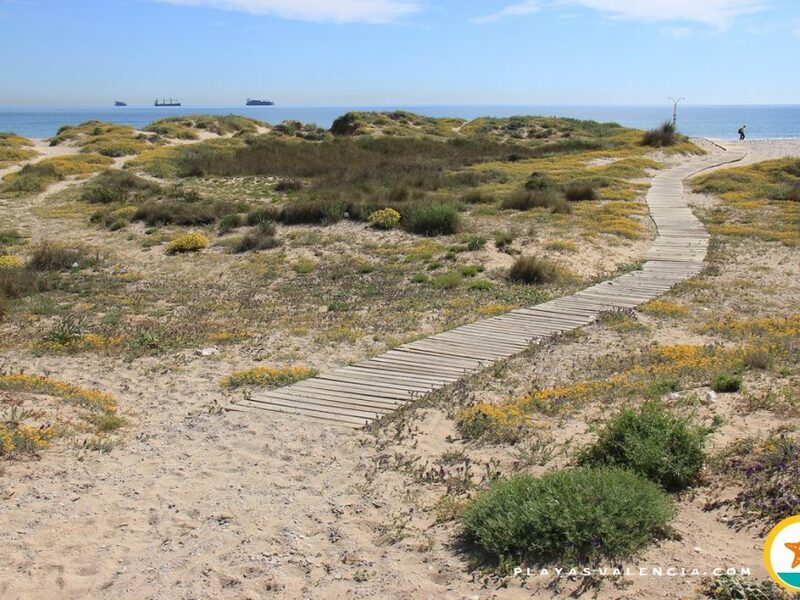 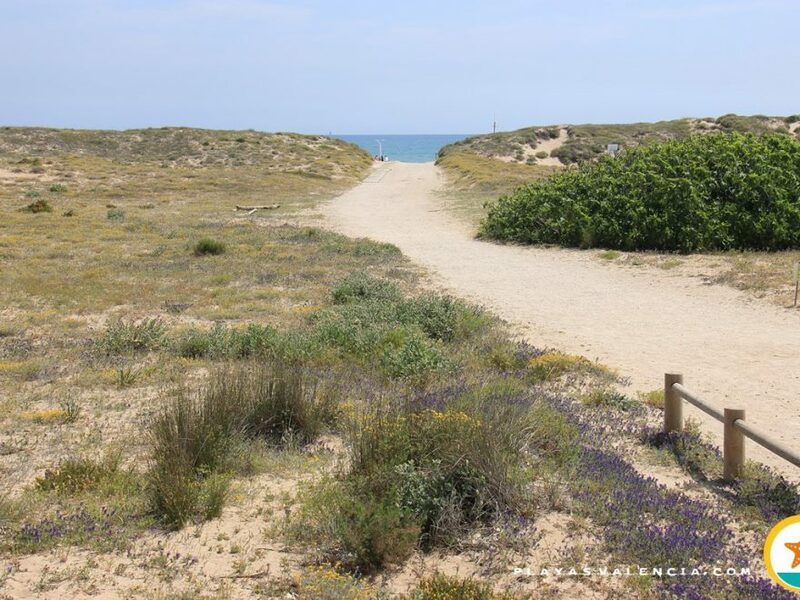 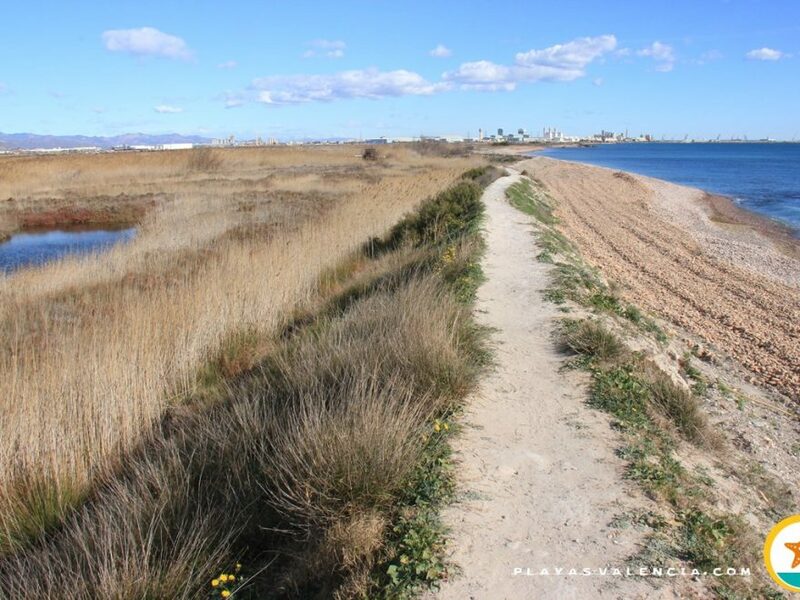 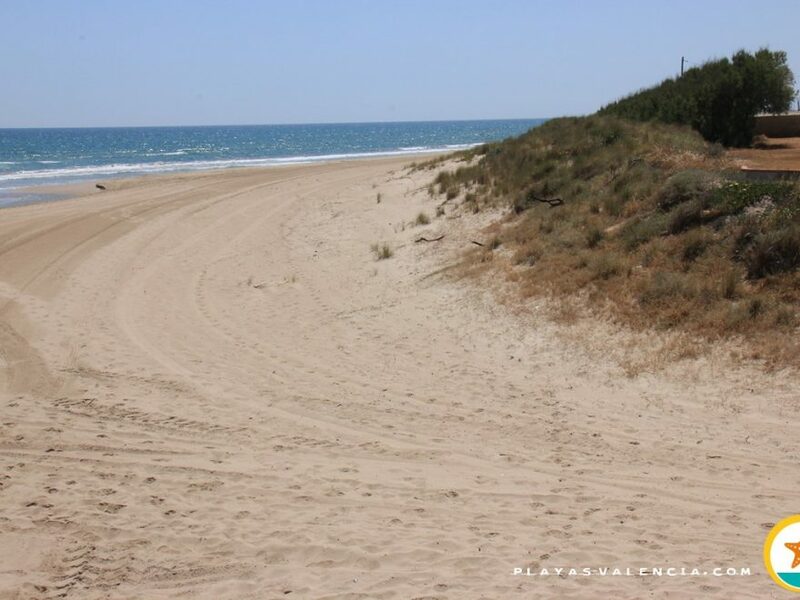 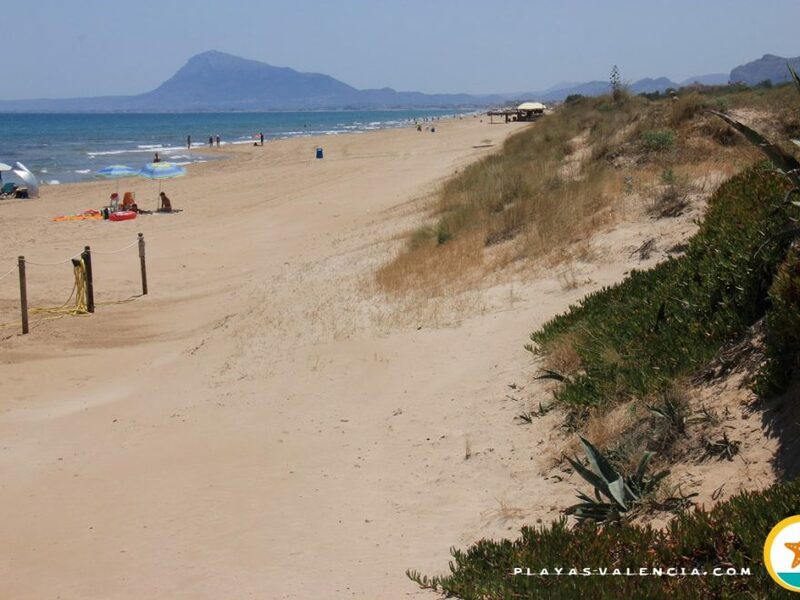 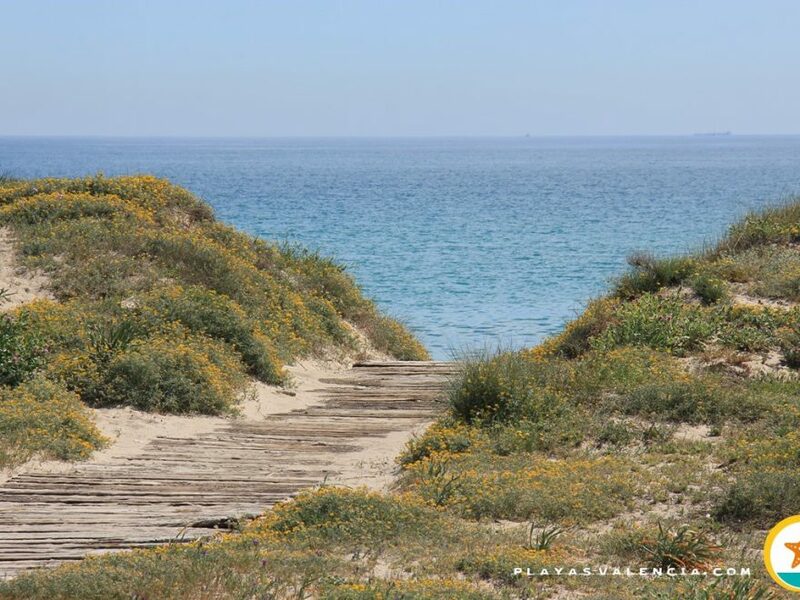 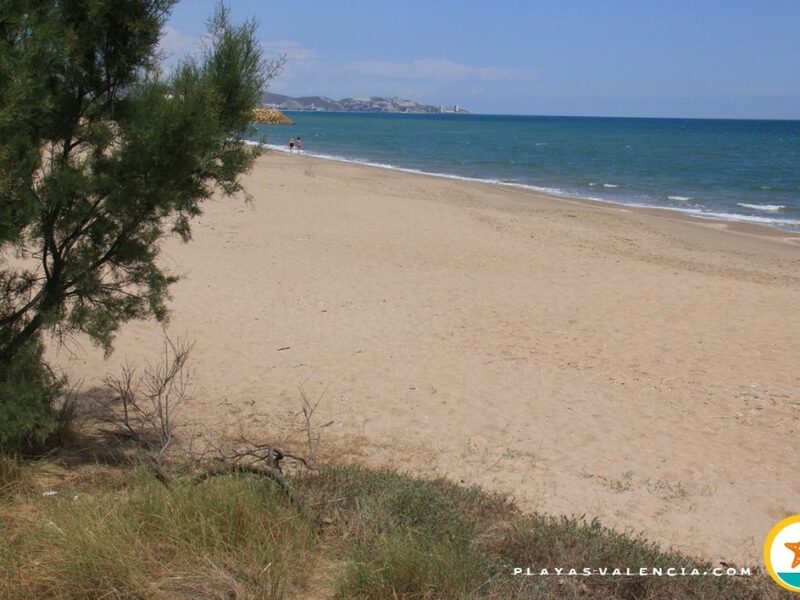 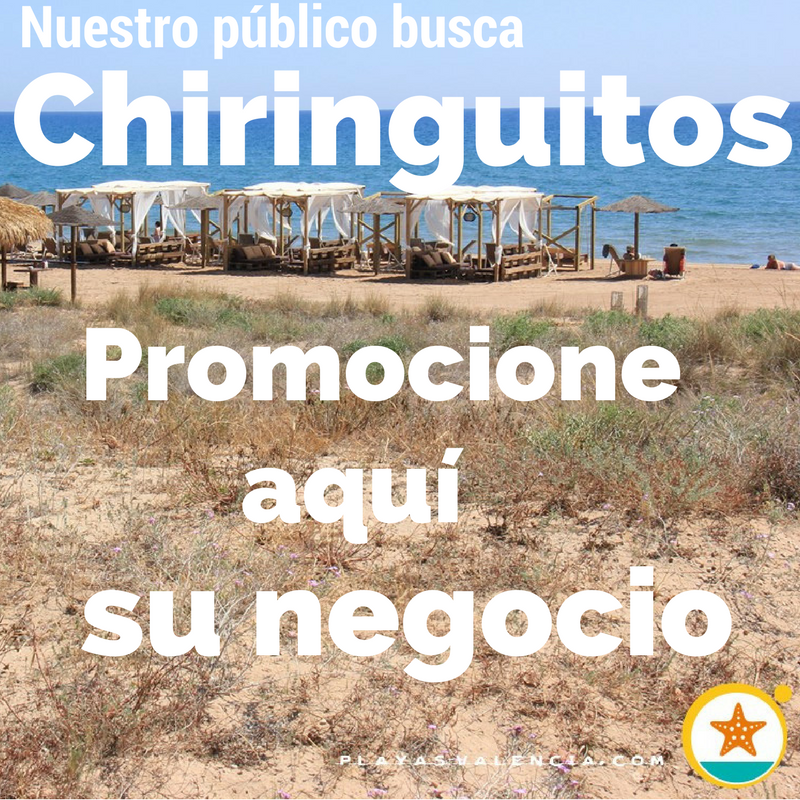 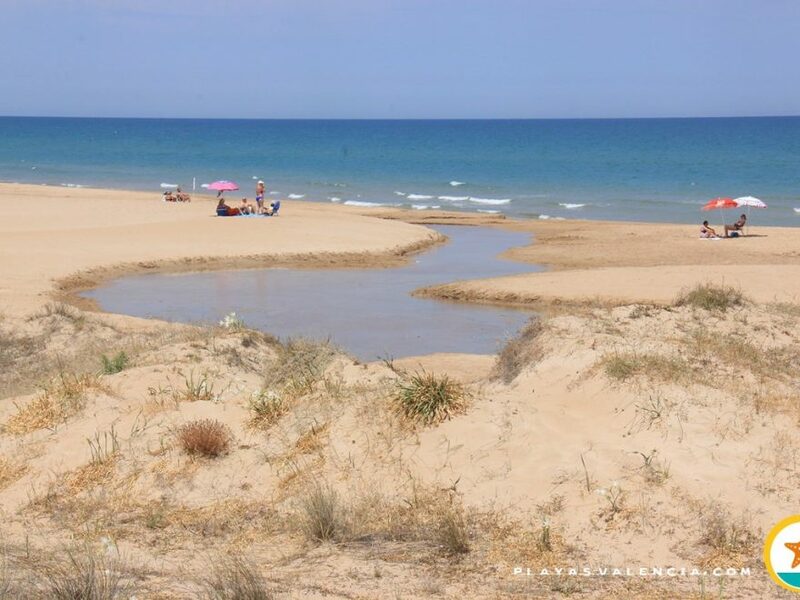 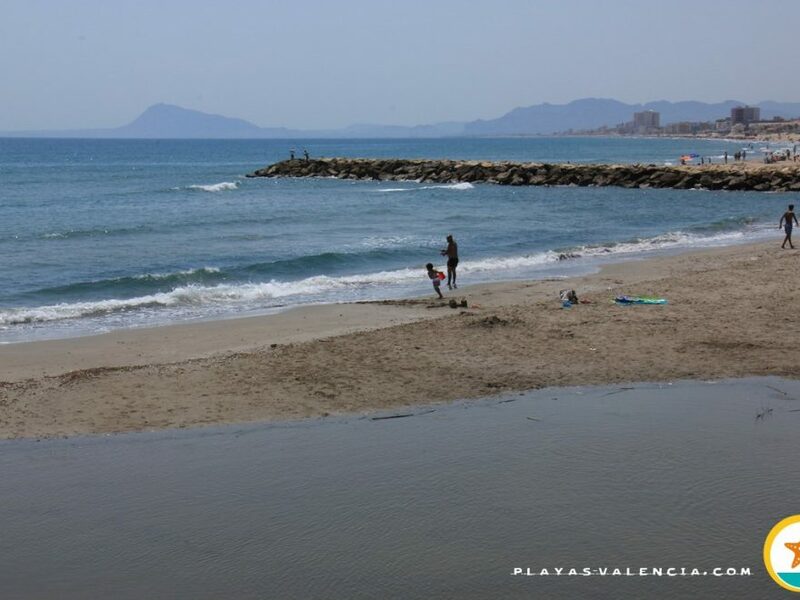 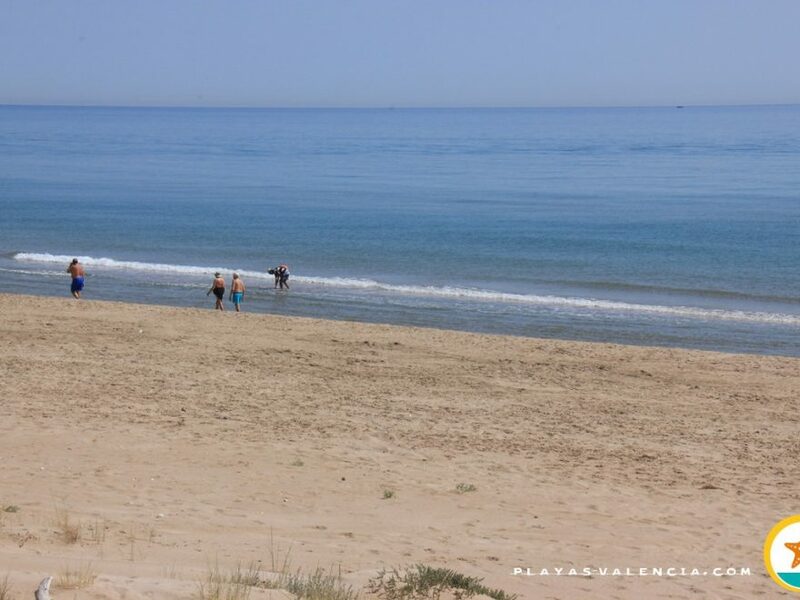 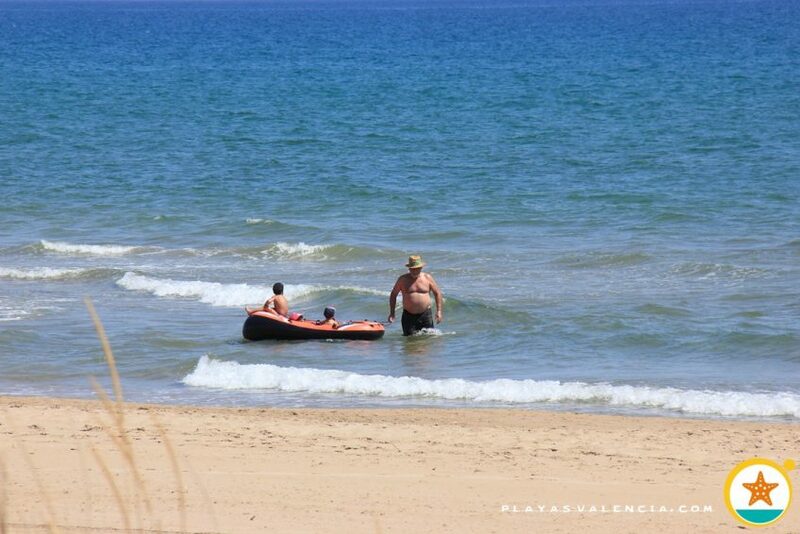 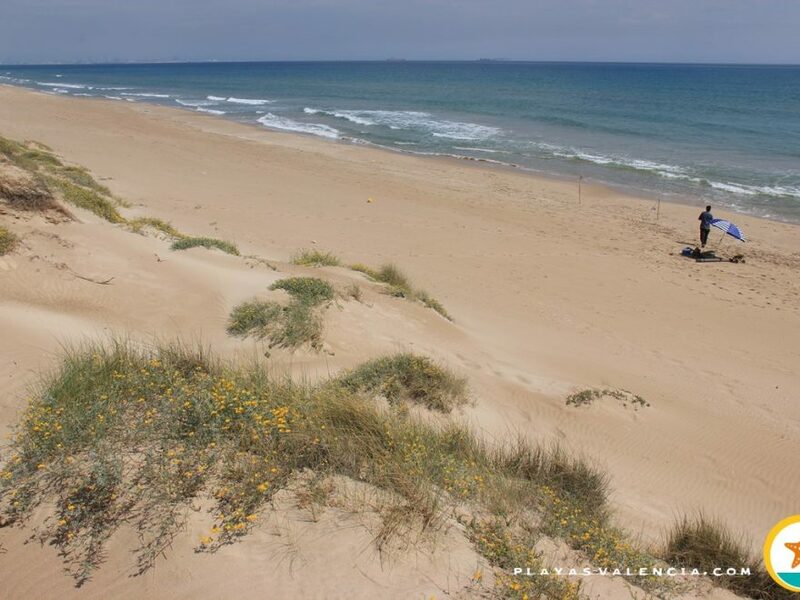 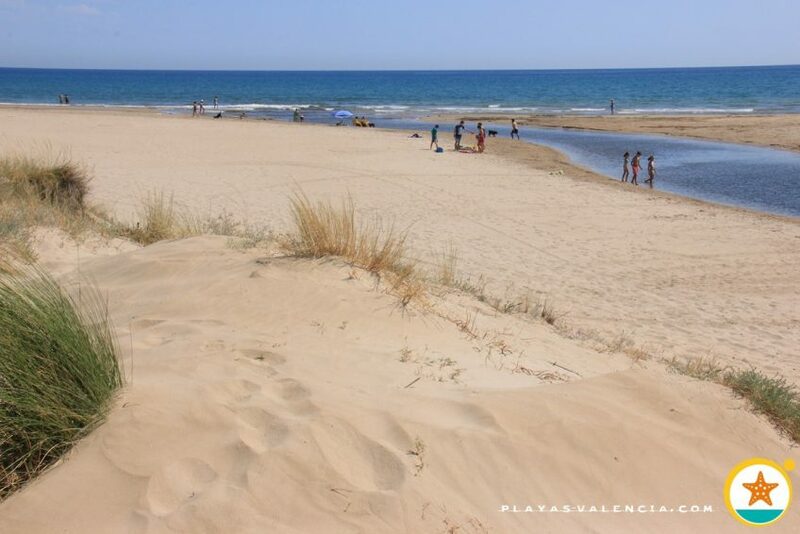 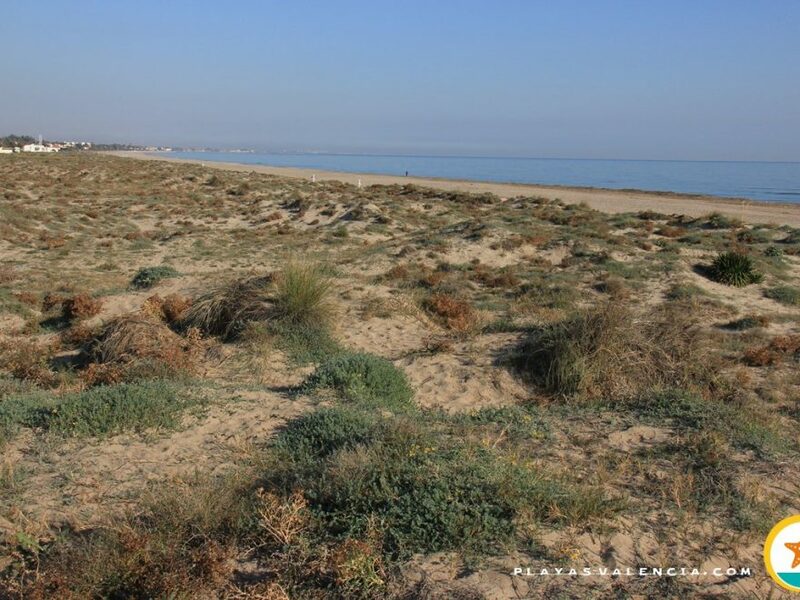 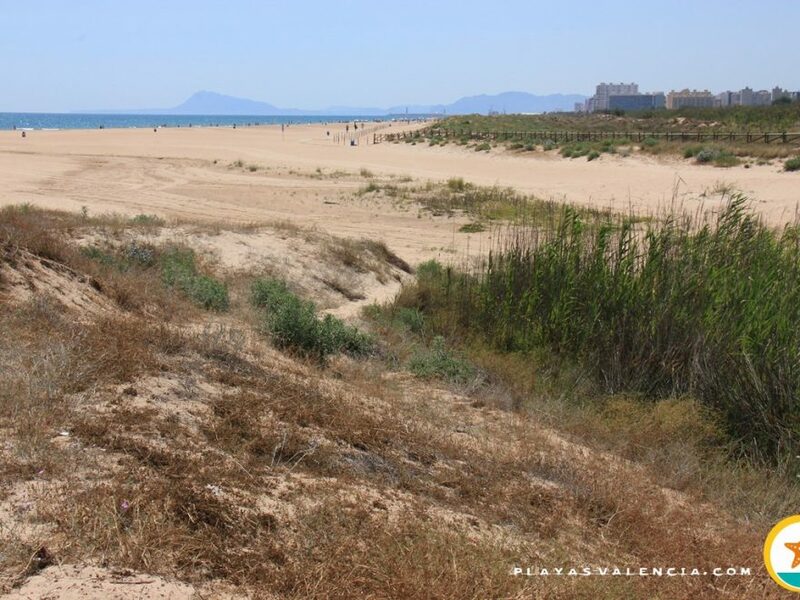 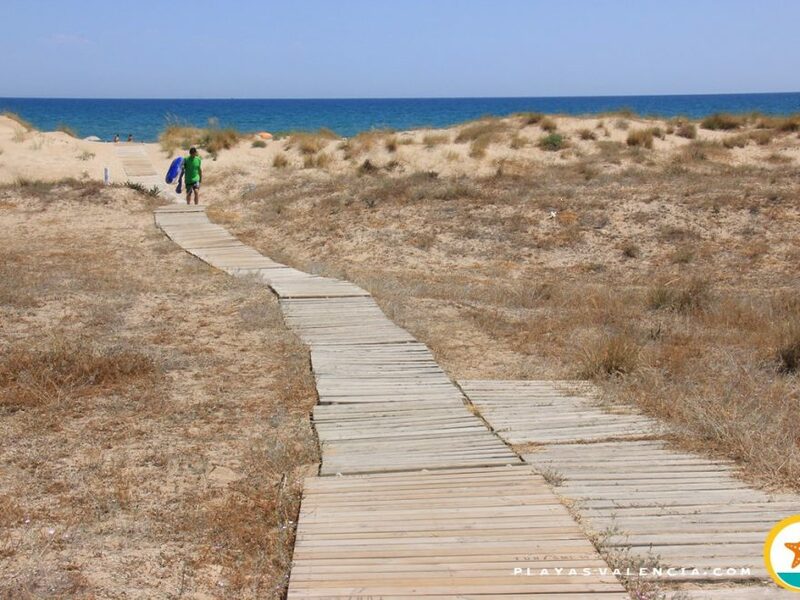 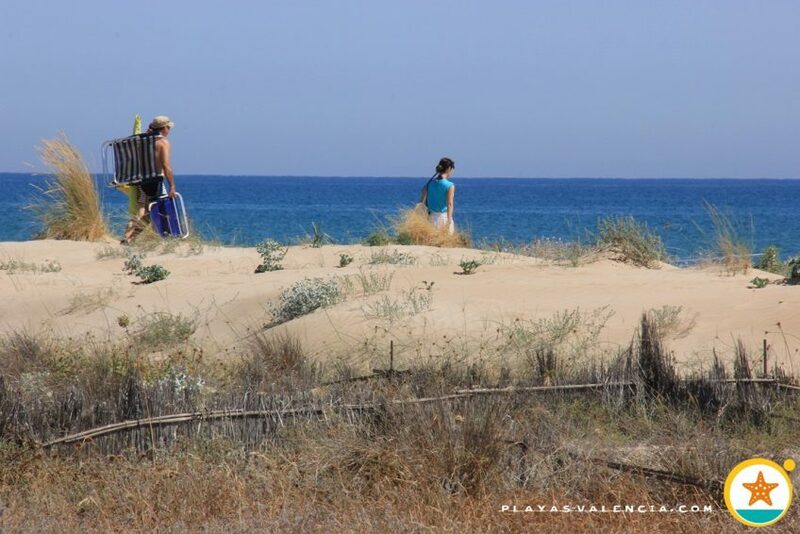 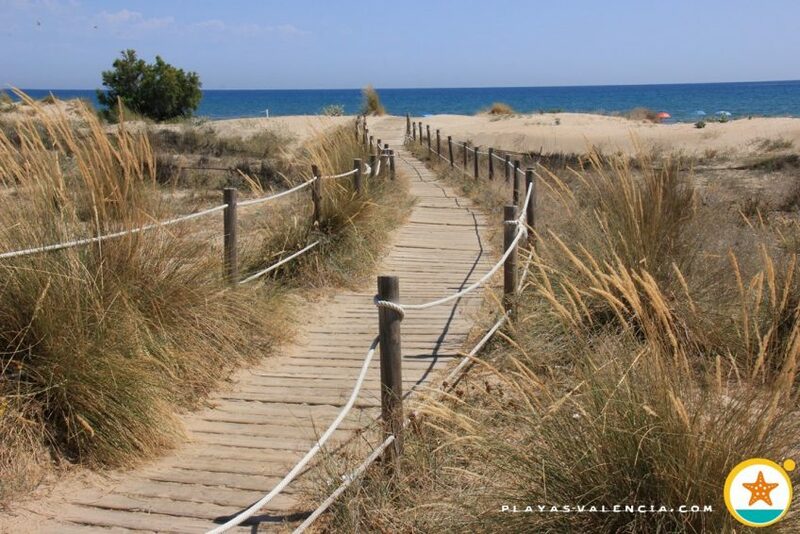 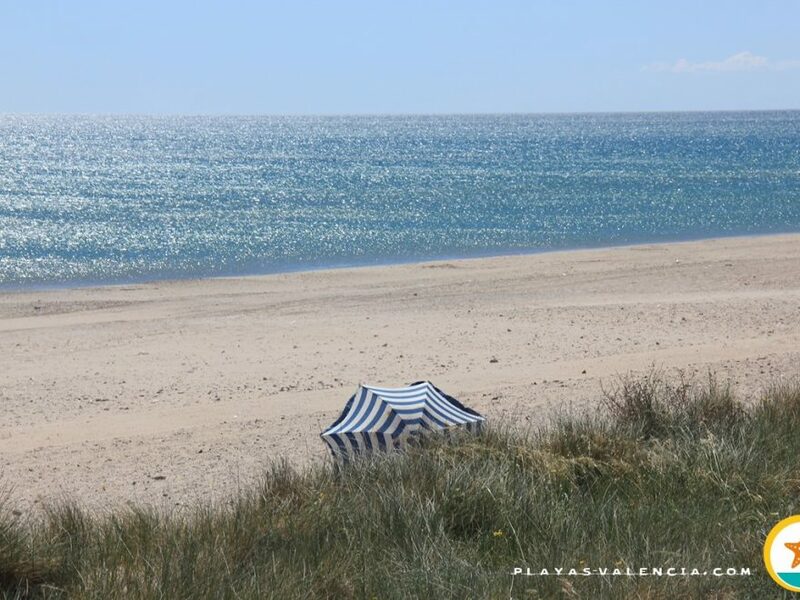 This is the most southern beach in the province of Valencia and also one of the most beautiful. 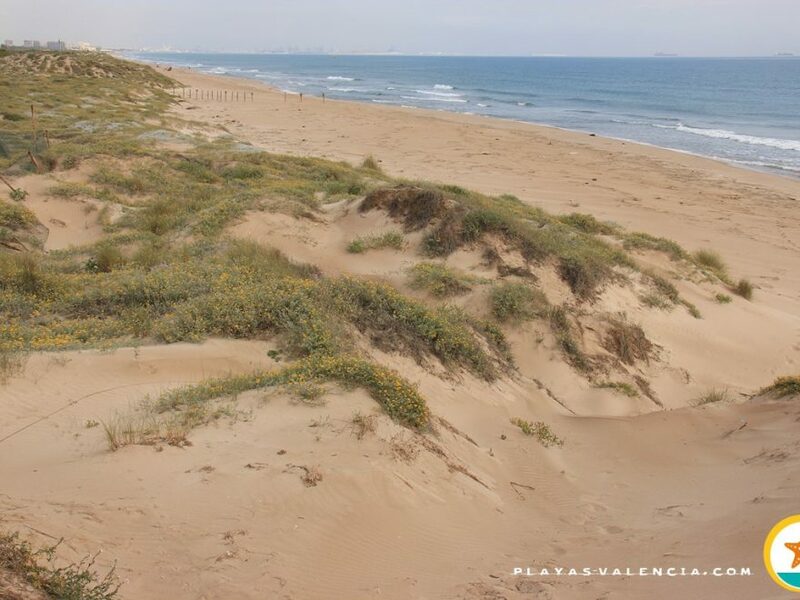 Attractive and alive, just like its dune systems which separate it from its neighbours. 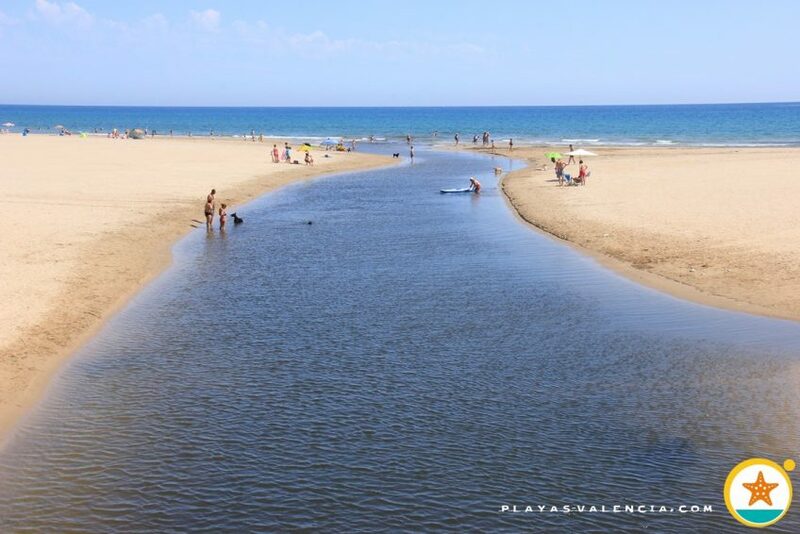 The mouth of the river Molinell creates small and fanciful deltas, which reinvent themselves every year. 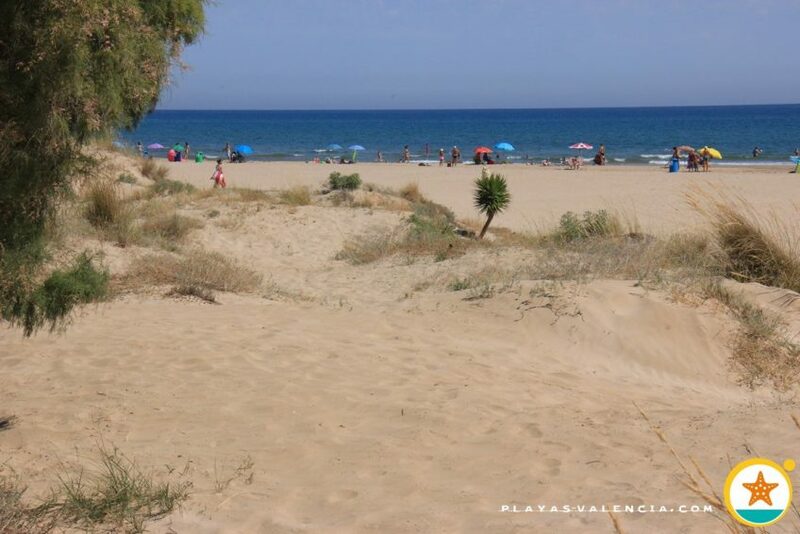 This beautiful virgin beach is surrounded by a very picturesque and traditional rural setting,with various houses with access to the sea through dunes. 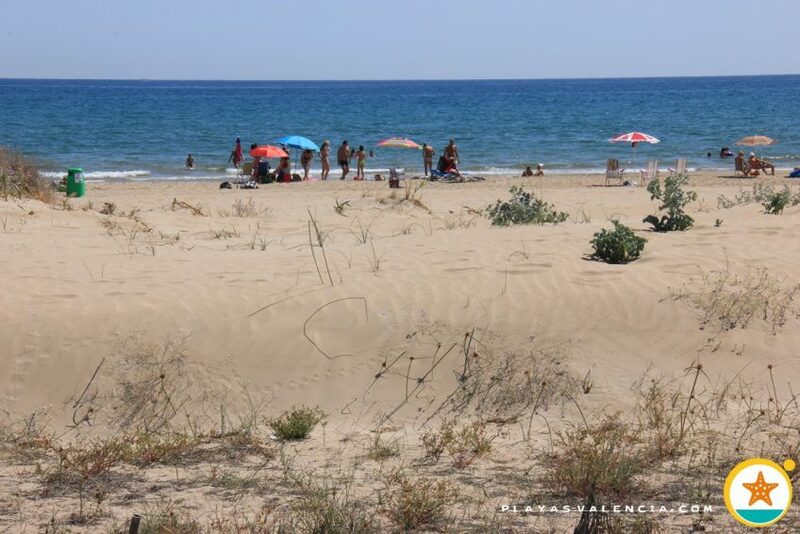 It has a varied public and fine white sands which await its visitors, who will discover a nook, which is a true gem.